Now that Season 1 of Ducktakes (Woo-oo!) is over, what I originally thought was a really good show turned into my thinking it is a PHENOMENAL show! Here are the Disney Magic Mommy Family’s Top 10 Favorite Things about Ducktales, season 1. 1. Webby bringing a grappling hook, and pillow traps to a Nerf fight. Awesome. 2. Launchpad! He might be the funniest, most clueless character who somehow always has the right timing, and the worst timing. 3. Darkwing Duck. Need I say more? But yes...we want more Darkwing Duck! 4. Mr. McDuck’s many treasures! It’s not just the gold and jewels, but what about that “other vault” where he’s got all the mystical, mythical things locked inside? That was awesome! 5. Old favorites like Gladstone (“Hey! Twenty dollars!”) Magika, and Gizmo and the Number One Dime! 7. Della Duck! The Della storyline running throughout season 1 made for some very interesting guesses in our house! Come on season 2! 8. Donald, often in black and white. I got such a laugh out of Donald in black and white. I also couldn’t believe that he had been an adventurer alongside of Scrooge! 9. Mrs. B. I never would have guessed that she was a secret agent. She’s still got her moves, right along side of Scrooge! 10. Scrooge McDuck’s Dad. Oh. My Goodness. Did you watch Season 1? Did you love it as much as we did? If you havn't seen this yet, there are free episodes that rotate of Ducktales, and many other Disney shows as well on the Disney Now app! Thought it might seem early to some, the Halloween decorations have been up at Disney for a few weeks now! Are you ready for some Disney fun this fall? We've got some of our Disney Halloween posts that were so popular from last year to share again over the next few weeks, along with some fun new things! It's a little spooky how much fun you can have when you add a little Disney in your Halloween! When you are at Disney, or planning out a Disney experience for the first time, you might hear some phrases you aren't familiar with. We've got a list of those phrases, along with an every day sort of person explanation! Once you remember that Disney is meant to be a "show" it makes a lot more sense how they talk! This is not a complete list, but has a lot of the common "Disney words" used. Hopefully those help you out a little next time you run across some unfamiliar Disney terms! ​What were the first (and only) words ever spoken by Pluto? ​The answer is.... A! 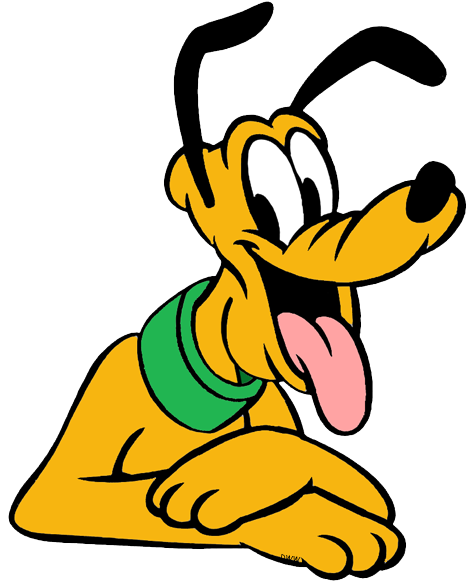 Kiss Me were the only words spoken by Pluto. I'd give him a kiss, what about you? The answer is.... C! 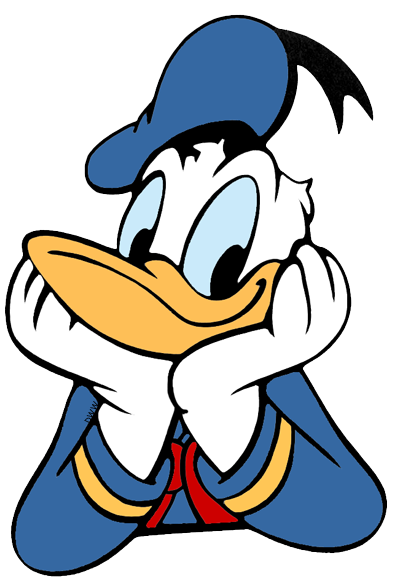 Donald Ducks' middle name is Fauntleroy! Try spelling that without looking...I sure couldn't! Ready for today's final question? ​Which is the only Dwarf in Snow White and the Seven Dwarves that doesn't have a beard? ​The answer is....B! Dopey is the only Dwarf who doesn't have a beard! In case you were trying to remember all of their names, Lumpy wasn't really a Dwarf. I don't even know if there is a Disney character called Lumpy, but if there isn't, there should be! That's all today, folks! I hope you enjoyed playing along on this Spotlight Sunday Trivia Time! We will have to do it again, soon! I might be in the minority, but I don't really mind going through Disney's security lines, maybe it's because we usually get through quickly. It CAN be stressful if you're late for a dining reservation, or the park just opened, or you are about to miss a parade, something like that, but with these 10 tips, you'll be breezing through the security lines faster than you can sing Supercalifragilisticexpialidocious! You can't arrive at Disney security at 9 AM and expect to walk right in for your 9:05 Breakfast reservation. That's not going to happen. Always show up at least 30 - 45 minutes earlier than you need to be there, to give yourself time to get through security, show your ticket and make your way to your reservation, or fast pass. 2. Don't bring a bag. (Like that will EVER happen with me!) But the fastest way to get through security, is to go bagless. Those without bags have their own, much faster line. If that doesn't apply to you, and it never will, me, keep reading! Have you ever noticed that when a crowd forms to get in somewhere, people just sort of fall into line and shuffle along? That's not the right way to approach the security lines at Disney! Scan the lines as you are walking up, and go to the one that looks shortest, or if they are all about the same, pick the one that doesn't have a family with a stroller, cooler and nineteen bags to be searched. While you are waiting for your bag to be checked, make it easier, and faster for security! Unzip ALL areas, before you get to the security officer, pull out anything bulky you've stuck inside like a jacket and a fast check may be all you need. I love the backpacks with all the little areas to hold out different things, but those extra pockets do take extra time to search, because each area must be checked. Either do #3, and unzip all the areas ahead of time, or consider a bag with only one main area, and one or two smaller pouches. 6. Don't bring in restricted items, or try to sneak them in! There's a big list of items you can't take to Disney Parks. If they are found while searching your stuff, they will be confiscated, and there's also a chance you'll be pulled aside for some extra security or even refused entrance to the Park! You can check that list by clicking here, and save yourself a LOT of time and hassle by reading it before you head to Disney! Just like the line forms on both sides of a quick service ordering area, it does at security too. If your whole family is on the left side, don't be surprised when one of your bags is checked, then the bag of the person on the right, then back to you. The bags go in order, so either push all yours up right away, or half of your party go on one side, and half on the other. It's so easy to stop, and wait for the rest of your party, or stand, zipping up your backpack, that's human nature, you know? But that actually causes the lines behind you to back up, or people to push past you, maybe knocking your unzipped bag all over the ground! Move forward, step to the side, or zip while walking! This is one of the most important tips. Everyone wants to get inside of whatever Disney park they are queued up for, and sometimes you will get pushed, or someone will step on your foot. Just shrug it off, smile, and be polite to those around you, including the security officer who might be taking a while to check your bag. It's important that they do their job to keep everyone safe, so that your day can be as magical as can be! Do you have any tips for getting through Disney security quicker? Are you able to go bag-less, or do you carry it all but the kitchen sink?